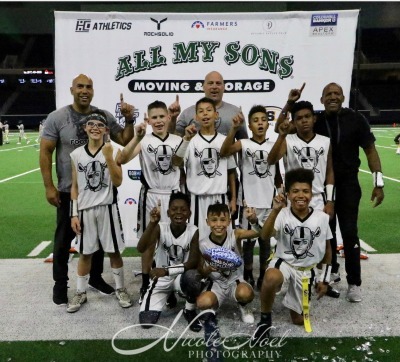 Hard Count Athletics (HCA) recently featured the most high-profile tournament in its four-year history with the inaugural Best of the Nation youth flag football tournament in Dallas, Texas. 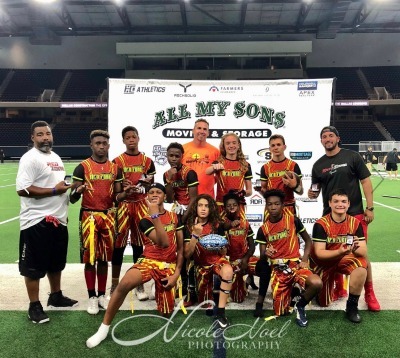 The tournament, which came on the heels of HCA’s successful first foray into the eastern United States in the Best of the East tournament in Miami, Florida, on June 16th also followed three successful Best of the West youth flag football tournaments in Las Vegas, San Diego and Los Angeles. 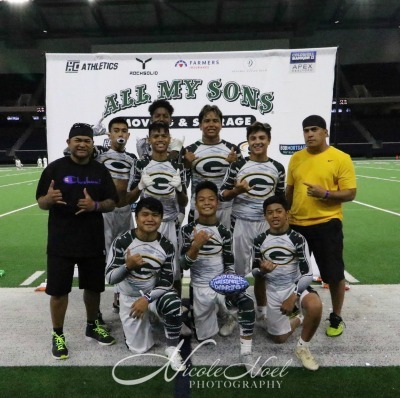 The champions in each age group from each site competed in Dallas to determine which teams were not only the Best in the West or Best in the East but also which ones were truly the Best in the Nation. On July 13th, the day before the big event, teams that played in one of the previous qualifiers in Los Angeles, Las Vegas, San Diego or Miami but didn't win, had the opportunity to win their way into the National Championship. A few limited at large positions were also available for those teams that hadn't played in one of the previous qualifiers but were on a high level. This competition was unique in the world of youth sports events not only because it was HCA’s first nationwide event; it joins a very short list of truly nationwide tournaments that allow elite teams, like those that won the Best of the East and the Best of the West tournaments, to compete against teams from other states and prove their ability to pull together as a team to achieve the apex of success against the best competition from across the country. It also marked what was only the first of more nationwide tournaments to come that will be presented by HCA. Although it was the teamwork and hustle of the players that ultimately won them the right to call themselves the Best in the Nation in each age group, none of the victorious teams could have made it this far without the support of their parents, coaches and supporters. Therefore, not only are congratulations in order for each of the players on these teams, but also for all of the others that made their success possible by ensuring the players made it to practice every week, were able to travel to tournaments and supported them along the way -- whether that support came in the form of hours of time that a coach gave up in order to help the players develop into their best as both individuals and as a team, parents who drove their young athletes to practices and games and paid for the expenses associated with traveling to tournaments often thousands of miles away in different parts of the country, and those who simply may have been there to enthusiastically cheer on the young athletes. 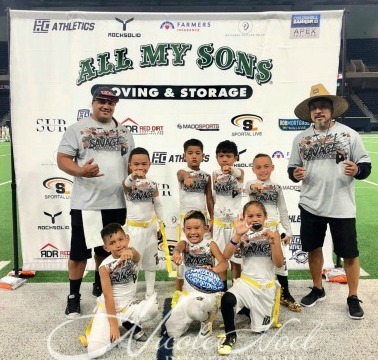 Tournaments organized by Hard Count Athletics permit youth sports teams to hone their skills against some of the finest competition from around the country in a format that encourages safety, player participation and skills development. 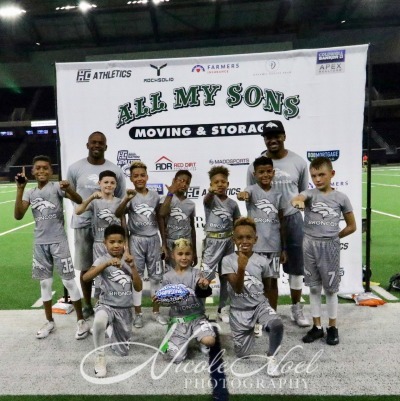 Competing and winning, in tournaments like the Best in the Nation, help contribute to the success enjoyed by youth flag football teams in both their regular weekly leagues as well as regional and national tournaments like the Best of the East, Best of the West or the just-completed Best in the Nation tournament in Dallas. In addition to regional and national tournaments like the Best in the West, Best in the East or Best in the Nation, HCA also offers ten skills camps annually in six cities across the United States that draw more than 5,000 young athletes annually to improve their individual skills. If your child is interested in competing against other young athletes to be his or her very best or developing his or her skills in an intensive yet fun skills camp environment, all the while doing so in a fun, engaging format that emphasizes character development just as much as skill work, contact Hard Count Athletics today at info@hardcountathletics.com. ©2019 Hard Count Athletics / SportsEngine. All Rights Reserved.